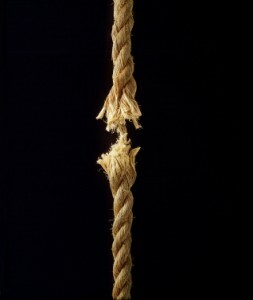 Sin the is slow unraveling of a rope, separating us in our relationships with God, neighbor, and self. The fact of the matter is that our Trinitarian God is a God of justice AND mercy; a God of expectations AND exceptions; a God of patience AND anger. A quick breeze through the Bible reveals this two-fold response (and while slightly off topic and impossible to show in just a few lines, it is entirely false to think of the Old Testament God as a God of justice and wrath and the New Testament God as a God of mercy and love. In a lot of ways, it is quite the opposite. Maybe another time, but I digress…) The fact of the matter is that God has the capacity for both unbound mercy and irrefutable justice (and it it not up to us which one will be expressed! In essence, sin is an act against relationships. Implicit in this definition is the goodness of the relationship, whether with God, neighbor, or self, that once was and is yet possible: to speak of sin as the absence or failure of love requires that there be at some point the perfect expression of that relationship to begin with. Goodness explains sin, not the other way around. There is need for the perfect relationship for there to be sin, but there is no need for sin to explain the possibility of a perfect relationship. And so what is a “perfect” relationship? It is the relationship that is oriented towards the Eternal Law, the law of God dictating the way things are and should be. This can be known through the scientific study of Reason or the expressed Truth of Divine revelation, both of which can manifest themselves through one’s conscience. When we evaluate our actions, we ask ourselves: has this utterance, deed, or desire brought me closer to God, neighbor, and self, or has it divided what once was and stunted what could have been? The list of actions that divide and stunt is infinite in length and may actually be a bit relative to the time, place, and situation. We must not allow ourselves to become so attached to the literal interpretation of God’s law, e.g. The Ten Commandments, that we fail to see the possibility for destroying God’s kingdom all around us. Sure, I may not have every physically murdered anyone in my life, but I have certainly hurt people with my words that have effectively ruined the possibility for relationship in the future. I may not have born false witness against my neighbor in a public court of law, but I sure as heck have spread gossip that tarnished someone’s image and ultimately weakened my relationship with them and with others. I may not have stolen anything substantial in my life, but I have certainly possessed more than I needed when there were those around me in dire need. In each of these cases, a current relationship was weakened and the potential for a future relationship was all but eliminated. So why write about sin? 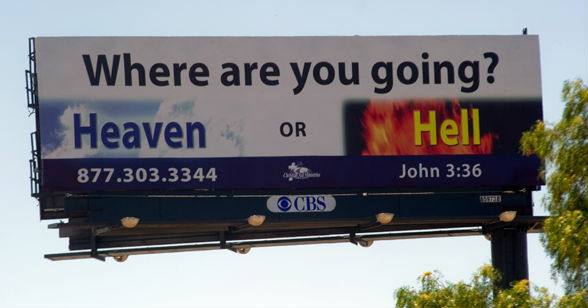 Is it because I’m feeling really self-righteous and want to cast anyone into the fires of hell or to make people feel self-conscious? Absolutely not. I share these three examples of my own sins to diffuse any sense of self-righteousness. What’s really at stake here is the power of the community of believers to feel in communion with one another and to feel responsible for each other’s livelihoods in Christ. The Church is not some social gathering or academic class in which people sign up for their own sake, get what they need out of it, and then go home. There is something powerful about the community of faith, coming together as the body of Christ, striving to be in greater communion with one another and God. We are not simply individuals with a common goal; we take on a collective identity. To do so, we must be in right relationship with God, neighbor, and self. To disregard the power of sin, the divisive effects of evil in our lives, cheapens and divides this community. We must seek always to be in right relationship with our brothers and sisters, all of them, and when we fall short, to ask forgiveness so as to be readmitted into the community. This is the beauty of the sacrament of reconciliation. When we ask absolution from a priest, we are not simply going to some middleman so that God will forgive us because we are unable. God could and does do this without a priest. What we miss when we do not receive this sacrament is the gentle correction of a figure of wisdom, the guidance to find our way back, and the official welcome back into the community of believers. Unfortunately, even though sin is the result of a personal action, it has a social, lasting effect in the world that cannot be removed simply by God’s forgiveness. One may be forgiven by God for killing someone, but the effect of that sin is irreversible, and the relationships that have been broken because of it require much more work on the part of the sinner to be healed. In most cases, what once was may never be recovered. This is the power of sin, but it need not exist. This is where I’d like to pick up in my next post: sin as a communal problem. If we see sin as broken relationship, it is something that goes far beyond the personal act, and is something that pervades our every moment. What must we do to conquer it? i always went for confession but always had this thing at the back of my head, why can’t i just ask for forgiveness….but you opened my eyes to the importance of this wonderful sacrament.Thank you.Will pray for you.